In 2006, Argentina’s President Néstor Kirchner paid off all debt to the IMF; today’s President Mauricio Macri has just gone back and signed a massive $50 billion support deal. Kirchner boasted that Argentina had ended 50 years of a very troubled relationship with the IMF. Now, its return foreshadows economic hardship for many Argentinians. As a consequence, political mayhem is expected. The 1956 military coup that brought down Juan Perón’s government signalled the start of Argentina’s relationship with the IMF, when Argentina joined the IMF as a member. But the relationship really soured after the 1976 military coup, which represents Argentina’s darkest period. Killings, torture, missing persons, and general repression became part and parcel of daily life. Economically and socially, the coup hit hard. Stalwart neoliberalism took over. A new Stand-by Agreement was signed with the IMF, but this time it left an enormous external debt that would loom over the economy until Kirchner paid it off. 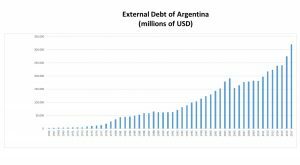 In 1976 Argentina’s external debt amounted to $7 billion; in 1980, it nearly quadrupled. Credits came mostly from American banks, egged on by the IMF in the context of the global financial liberalisation process pushed by the USA. The unilateral rise of the US interest rates meant that non-payment would dramatically increase the debt stock. As the debt resulted from financial speculation, it left no augmented production capacity. So, the debt level just rolled on up as there was no means to meet even interest payments – which equalled a year’s exports. When the military government crumbled, the new democratically-elected president in 1983, Raúl Alfonsín, inherited a $42 billion debt, the 4th largest in the world, and the 1st in per capita terms. The IMF, who showed deaf ears to claims of the illegitimacy of the debt incurred under an undemocratic military dictatorship, the assumed the role of speaker and negotiator on behalf of private creditors. Through the 1980s, the IMF kept pressing for tougher cuts that disproportionately hit the poor. To Argentine society, keen to affirm its new weak democracy amid uncontrolled inflation, the Fund’s image became tarnished. The decade ended in political turmoil and runaway hyperinflation which forced Alfonsín to step down in 1989. 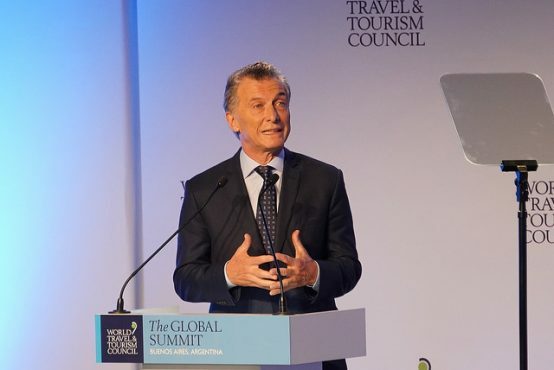 Argentina then adopted the Washington Consensus programme that, together with the convertibility of the domestic currency to the dollar dropped inflation, then prompted economic growth. The IMF in 1992-1994 presented Argentina to the world as a poster child of this “successful” strategy. The But after 1995, with the end of the privatisation programme, recession and high unemployment returned to stay. Again, debt service became difficult and, again, the IMF stepped in to press for it. The 1990s were marked by continuous huge social cuts to preserve budget revenues to service the debt. Social unrest grew. Finally, in December 2002, society angrily ‘kicked out’ then President Fernando de la Rúa and cut relationships with neoliberalism and the IMF. Macri has returned to the lap of the IMF. This came as a surprise. To be sure, the economy is in a dire state. But, for the first time, Argentina returns to the IMF without suffering a major balance of payments crisis. Despite the government having inherited a $240 billion debt, its own 2016-17 policy was responsible for an additional $80 billion in debt. The government has said that it called on the IMF to “prevent” a crisis. While the IMF secured social expenditures as a percentage of GDP, Argentina had to cut wages and the number of state workers by 0.5 percent of GDP to meet IMF loan conditions. Both the IMF and the government stated that a tough monetary policy and a free exchange-rate should also help to bring inflation down from the current 27 per cent to 9 per cent by 2020. 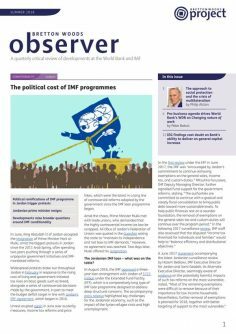 Domestic neoliberalism and the IMF have joined hands to sell the ‘There’s No Alternative’ theory. This is posited as the inevitable outcome after ten hideous years of backward populism that must now to be corrected by ‘proper’ economic theory. Any alternative course, such as progressive taxation, fiscal incentives to boost production and employment or control of international capital flows, have been promptly dismissed without consideration or debate. As said before, the previous Kirchner administration had many faults and the economy it left was no pretty sight. But this move by Macri and IMF is pitted against society. Differently than in the past, democracy reigns now and 2019 is an election year. 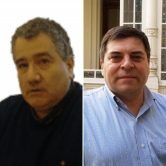 In July, an open letter was sent the IMF’s managing director, signed by a host of opposition MPs, union leaders, human rights activists, artists and social representatives, repudiating the agreement as “odious and execrable.” The agreement is illegal, they argue, as such a deal, according to the Argentine constitution, is the prerogative of the legislative, and not executive, power. Thus, social resistance has begun and will probably intensify. This should come as no surprise. Argentine history says so.